Early card mockups complete with spelling mistakes. First off, the fact that House of Cards was released the same month I set out to make a card game on Canada’s electoral system is merely coincidence. If you haven’t seen the show yet – you should! In House of Cards the characters are striving for personal power or wealth, but that does not reflect what I’m looking to cover. I’m looking to make a comment on Canada’s horrible state of elections that has only worsened over the last decade. Of many,many, many issues that have surfaced around bad election (and related) policies the most recent is the move by the Conservative party to make elections less democratic. That’s federal. On the provincial level we have seen attempts at electoral reform fail while corruption seems to grow. What’s more, on the municipal level Montreal has gone through more mayors than I can keep track of and in Toronto we have the worst mayor the city has ever seen. Beyond the above issues, voter apathy is increasing and traditional political participation decreasing. I have found this state of politics in Canada frustrating and what better way than using a game to express my frustration? Thus: Village of Cards now exists. The name Village of Cards is a nod to history and etymology of Canada. According to Wikipedia: “The name Canada originated around 1535 from the Saint-Lawrence Iroquoian word Kanata meaning “village”.” And, the name change hopefully lowers the likelihood that I’ll get sued. The goal of Village of Cards is to win an election by getting more votes than your opponents! The game runs for four “weeks” (AKA rounds), and each week has five “days” (AKA turns). Every week the front runner is determined (who has the most votes) and a news event is randomly drawn. 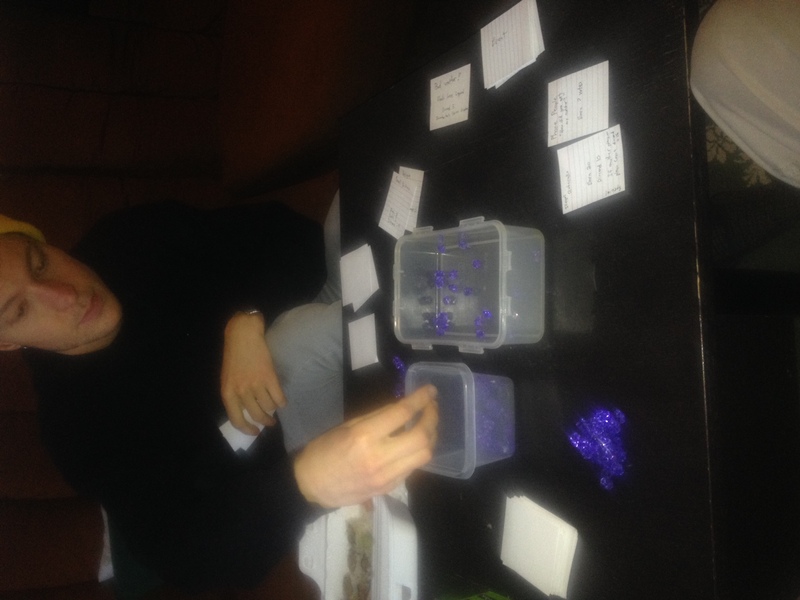 Players then need to react to the event while playing their cards to beat their opponents. It’s meant to reflect what it’s like to run an electoral campaign in Canada. The game itself is meant to not be clearly in support of any particular party nor to pick on any party (despite how tempting that was). I also knew that this game had to have three or more players. If it only had two players it would be less fun and be interpreted to reflect the two party system in the USA. Only one of the goals was not fully met and that would be the last one. But, let’s go through each of the above. Canada has three levels of government and they operate in a similar way when it comes to elections. Indeed, only municipal elections tend to diverge amongst the country. As a result all I had to do was not be explicit on the cards about which level the game is set at; indeed, I did the opposite and included scandals and issues from all levels. Therefore it made sense to reference the Conservative robocall scandal; Kathleen Wynne’s feeble attempt at social media; and of course smoking crack. The game has two voter pools – one of active voters and one that contains apathetic voters. To capture the reality that voter participation is decreasing with each election the apathetic voter pool starts with 50% of all votes. That’s not enough though, I made the cards more inclined to discourage voters more powerful and plentiful to reflect the current state of Canadian politics. This mechanic is in the game because as I often say to my students: the mechanics are the message. This is directly related to the above design issue. The mechanics of the game make it so one valid strategy is to drive people away from voting and to just steal votes from your opponents. However, this makes it really difficult for the other players ensuring that there is a constant cycle of votes between active and inactive voters. Each candidate just needs to have more votes in their pool than other candidates to win. Like in Canadian elections, it’s possible that you can have less than 30% of total votes and win a majority. The name choice was inspired by a joking comment by a friend and Village of Cards stuck. Playing off of the popularity of House of Cards will hopefully help people ease into the game. But I can’t just rely on a TV show. This is where play testing with a diverse group of people revealed more than normal. Everyone has an opinion of politics – even people who are self admittedly ignorant and apathetic. With people who are into politics at more than a cursory level they instantly got into the game and wanted more political jabs. Others didn’t get the tongue in check political cards I made but they did get how the game works – indeed it even inspired players to ask about the first past the post system we have in Canada. To appeal to people who don’t instantly buy into the political angle I had to ensure that the game needs to be easy and fast to learn. Because this was an ongoing concern of mine from the beginning of the project it was reflected in all the design decisions I made. When it came to actually explaining the rules I got it to be shorter than five minutes every time. From setup to playing took basically no time; however learning the late game strategy was a challenge for every new player. Players can adopt three basic strategies for the game but most of it doesn’t matter until the final week of the game. Ideally I wanted a player to be able to front load their campaign and get a ton of followers the first week to win the game. This was never play tested to be true as the first week was always haphazard and the last week players were playing their most powerful cads. In some ways this does reflect reality, but it means that the game is less fun (and remember I want to appeal to people who don’t love politics). As mentioned, above, allowing for multiple strategies is the only design point that I didn’t achieve. The reason for this is a lack of cards that have entire game impact (I assume I’ll constantly be updating the cards). The framework of the solution is already there – I just need to amp it up. 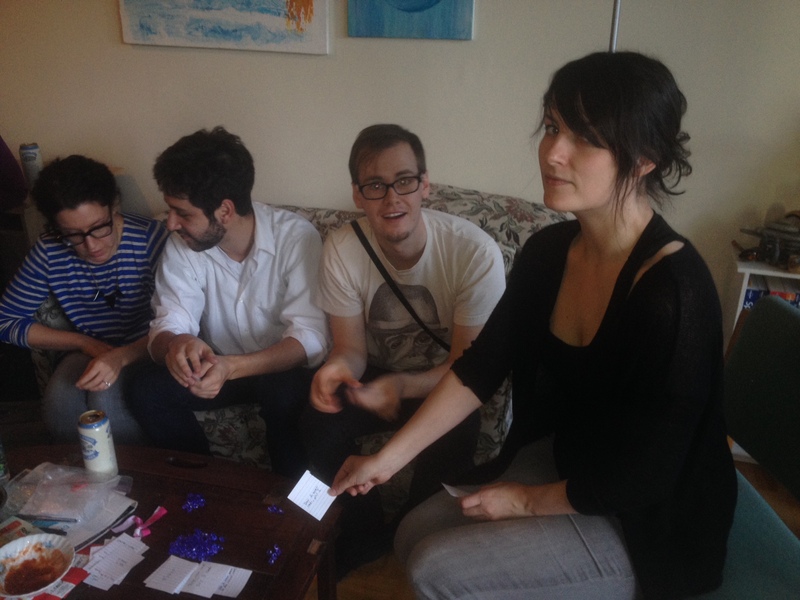 If you’d like to play this game and happen to be in Toronto – let me know! As always, thanks to all those people I subjected to testing this game with me! Find out more about #1GAM here.